With Chinese art prices making recent headlines 头条 ($36 million for a decorated porcelain cup 瓷杯)， it’s hard not to think how one can elbow into the art market for a piece of the pie. 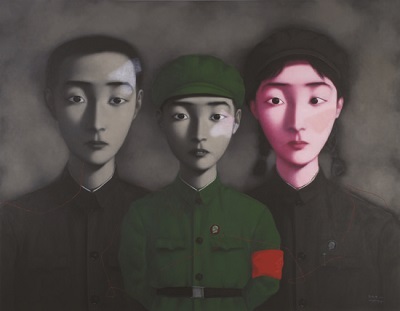 Zhang Xiaogang’s “Bloodline: Big Family No. 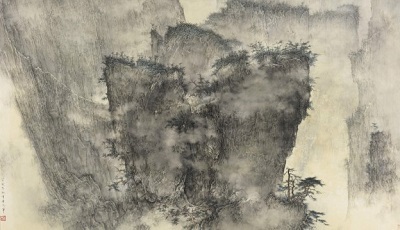 3” 张晓刚《血缘:大家庭三号》sold at Sotheby’s Hong Kong on April 5 for a record $12.1 million. 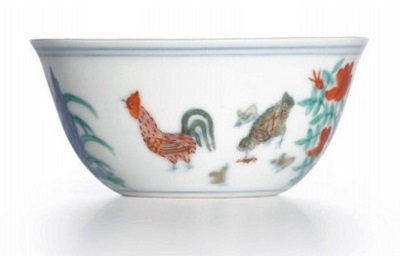 The 15th Century “Chicken Cup,”斗彩鸡缸杯 perhaps the most welcome Chinese porcelain, sold for $36 million at Sotheby’s. 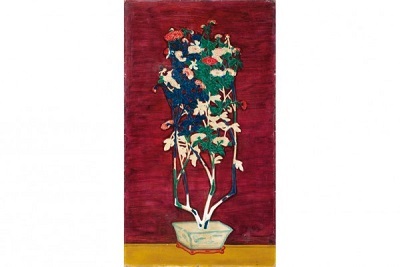 Sanyu’s “Potted Chrysanthemums”常玉《青花盆与菊》 fetched $10.4 million during Sotheby’s April 2014 sale series in Hong Kong. 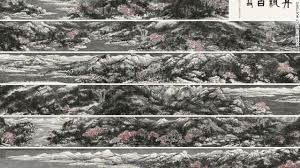 At a Hong Kong sale by Chinese giant Poly Auction, “Landscape in Snow” by Cui Ruzhou 崔如琢的《水北烟寒雪似梅》 sold for $24 million. Ink and color work on paper “A Gathering of Pines and Clouds” by Li Huayi 李华弌的水墨作品《云松聚》went under the hammer at $405,000.